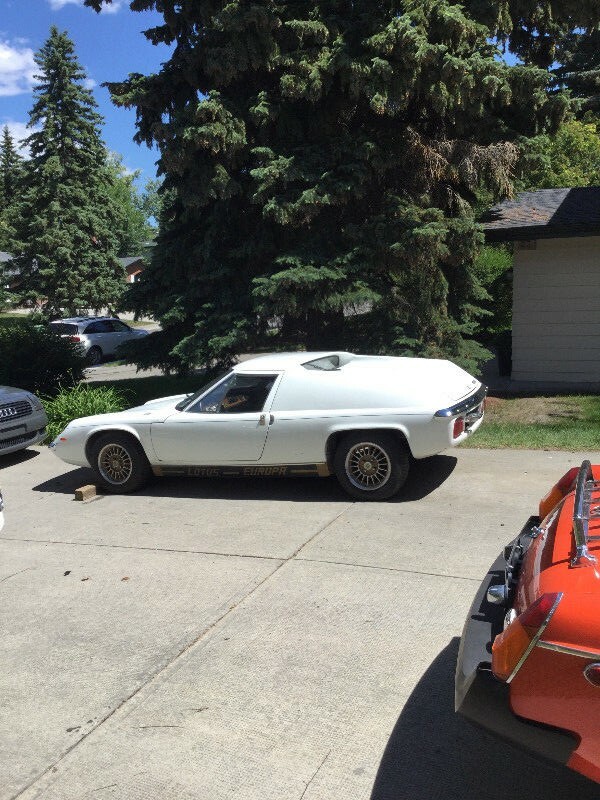 The Europa was a sporty two seater built by Colin Chapman's Lotus Cars in Norfolk, UK. Only 9300 of these high-butted gems were built between 1966-1975 and in today's world of overpriced junk (see Porsche 912 prices...ahem) the Europa is still surprisingly affordable as long as you avoid over priced examples for sale on various interweb auction sites. 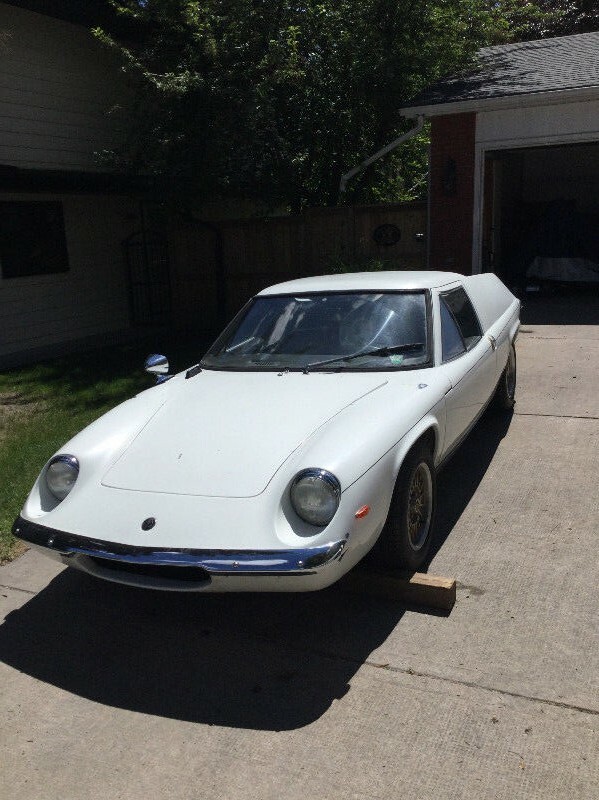 Find this 1969 Lotus Europa S2 offered for $12,500 CAD ($9,431 USD or 649,440 Indian Rupees) via Kijiji.ca. Tip from Erik202. Rare 1969 Lotus Europa. Needs lots of TLC. All pieces are there. needs brake bleed and rad flush. Motor and transition are good. Wonder what the build date on this one is. It looks like a S1 nose but it also looks like it has opening windows ( never mind the bonded frame, can you imagine driving a S1 Europa with no AC and no opening windows? ) also has S1 door handles. That indicates it is one of a handful of transition S2 versions build with leftover S1 parts. This is a screaming deal considering the rarity. I like the S1 looks combined with the S2 nods in the general direction of practicality of in the distance. nods in the general direction of practicality of in the distance. nod in the general direction of practicality off in the distance.